There are tons of great small businesses to support this weekend for Small Business Saturday in Beaver County. I’ve scoured the internet to find you the best deals and events so you can get to the shopping! Want to support new small businesses in the area? The Beaver Valley Mall is running a pop-up event for new local businesses in Beaver County. 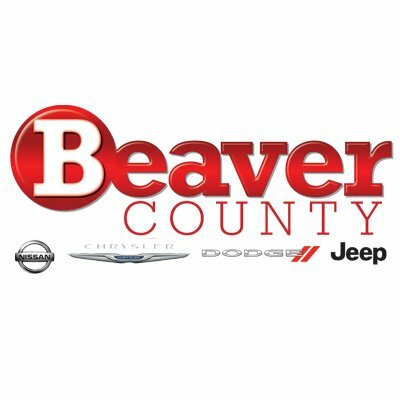 The Beaver Falls Christmas Parade changed dates this year and will now run on Saturday instead of its usual date, Black Friday. This year’s event will feature a band competition, a scavenger hunt within local businesses, and a gift-giving Santa. De-stress after the holiday and go over to Downtown Beaver from 10 am to 5 pm on Saturday for carriage rides, performers, hot chocolate, and gift wrapping! Small Business Saturday is all about giving back to the community. This event is free, leaving you with more money to spend on art, crafts, food, and even a Chinese auction. All proceeds benefit the Beaver Falls Salvation Army to help local families in need. This Saturday, almost everything at the BCHS Thrift Store will be 50% off with all proceeds benefitting the animals at the Beaver County Humane Society. Take your pet to Big Rock Veterinary Hospital on Saturday for any procedure and get a free pet bandana and stocking stuffers! Want something with a little more sparkle? Stop into Glatz Jewelry on Saturday for 20% off Alex and Ani products and 50% off Lafonn’s citrine jewelry! Stop in the Beaver Falls Restore on Saturday from 8 am to 2 pm for specials on furniture, appliances, decor, and other great donated goods. Proceeds go towards building safe and affordable housing in Beaver County. If you like their Facebook page and show them on your phone, receive an extra 10% off your purchase! Enjoy a 40% off discount on all Christmas decor and ornaments this Friday and Saturday at Hutch and Home! Stop by Sweetwater Bikes on Saturday for huge holiday blowout sale! Ride away with a new bike after a 20% discount or accessories at 30% off. Stray Cat Studio has excellent one-of-a-kind ceramic gifts. Enjoy free gift wrapping and a selfie station on Saturday. Get 10% off one gift shop item when you print the coupon found at the link below. Happy shopping! Are you going to any events on Saturday? Where do you plan on getting the best deals? Share in the comments!  Archived in Events, Shopping.